Pumpkin & Cranberry Bread, lightly spiced with cinnamon it’s a real taste of Autumn. Autumn is well and truly underway with plenty of misty mornings, beautiful spider webs and showers of colourful leaves. Halloween will be here before we know it and I can’t seem to keep up with the produce from the Kitchen Shed veg garden. I love growing pumpkins and squash even though they’re a greedy and thirsty plant and our pumpkin patch has done really well this year. I grow pumkin and squash in a sunny spot on what amounts to an old covered compost heap where the soil is rich so a pretty much perfect place to grow. The flavours of pumpkin and squash, in both sweet and savoury dishes, are big favourites of mine and luckily OH shares my enthusiasm – this is great because unlike the courgette wars, there’s no need for me to use recipes which disguise flavours. I’ll be sharing plenty of pumpkin and squash recipes this month and the first I’d like to share is my Pumpkin & Cranberry Bread. 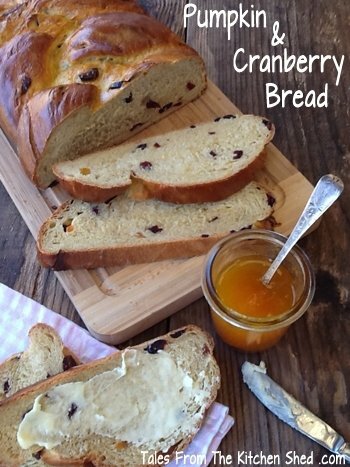 The pumpkin adds moisture and a natural sweetness to the bread and pairs well with cranberries; lightly spiced with cinnamon it’s a real taste of Autumn. 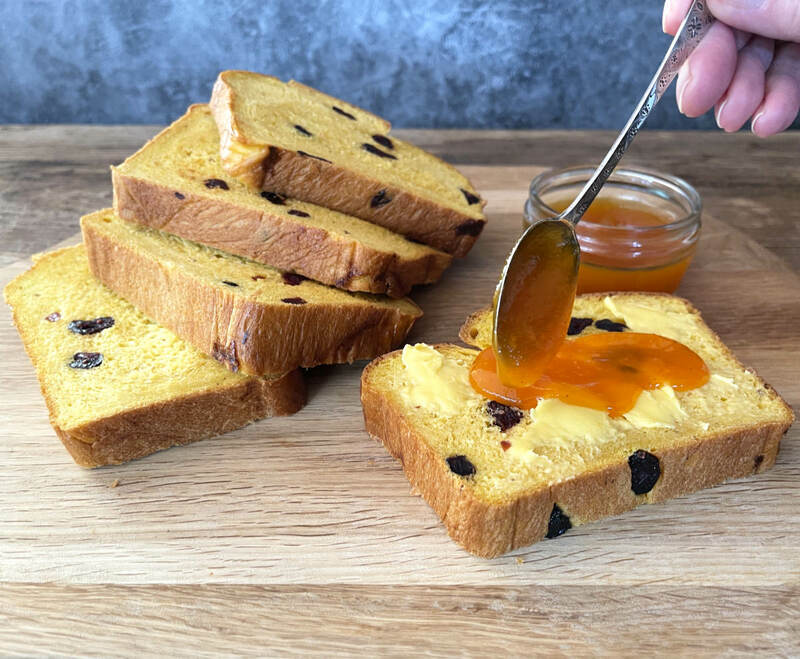 Serve a buttered slice with a cup of tea for a perfect afternoon teatime treat – sometimes I even spread a little of my Pumpkin Pie Jam on top for an extra treat. 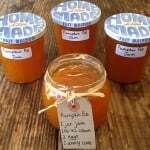 I’ll be posting the Pumpkin Pie Jam recipe next week, so watch this space. Steam your Halloween pumpkin flesh and pack in handy amounts ready to use later. Transfer the dough to a floured work surface and divide into 3 portions. 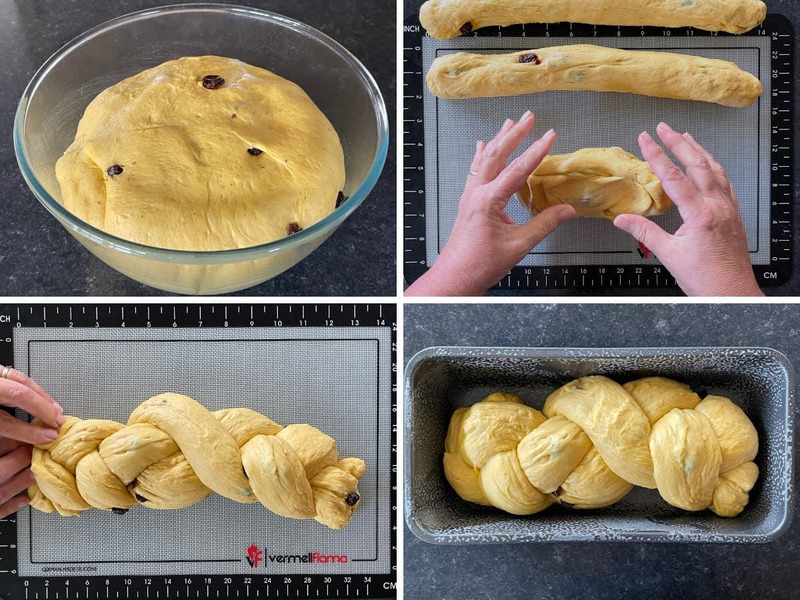 Roll each portion with your hands into a 35 cm long sausage shape. Lay the 3 dough sausages in front of you and begin plaiting from the centre, left over right, right over left etc. When you reach the end, turn your plait and repeat, plaiting in reverse order. Press the ends together and tuck them in to neaten. Cover and leave to rise for about 45 minutes or until doubled in size. Bake in the oven the 35 to 40 minutes until golden brown. The No Waste Food Challenge created by Elizabeth’s Kitchen Diary hosted this month by Kate at Veggie Desserts. Oooh, yummy! I LOVE pumpkin (why doesn’t everybody?!) but I’ve never used it in bread before. Must try this one. Thanks! I love your pumpkin recipes! This sounds amazing, particularly with your pumpkin pie jam. Thanks for entering the No Waste Food Challenge and Extra Veg! Sarah, you are like the queen of the kitchen and my baking idol!!! The picture of your bread is like something out of a magazine. I have thought about next year seeing about trying to grow some pumpkins. I can only imagine how gorgeous your garden looks! Thanks so much for sharing your recipe with #foodpornthursdays. Yum, what a lovely colour bread and I would love a slice or two right now! Thanks Lucy, if you’ve got any pumpkin leftover from making your lovely pumpkin cake it’s definitely worth trying. The bread amazingly good and it almost screams- make me, make me! 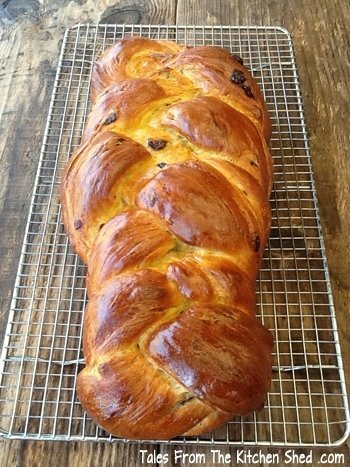 😀 I’m not very good in baking breads, but your recipe sounds very easy to follow and make it! And I love pumpkin and cranberries in it! Which type of dried yeast did you use? 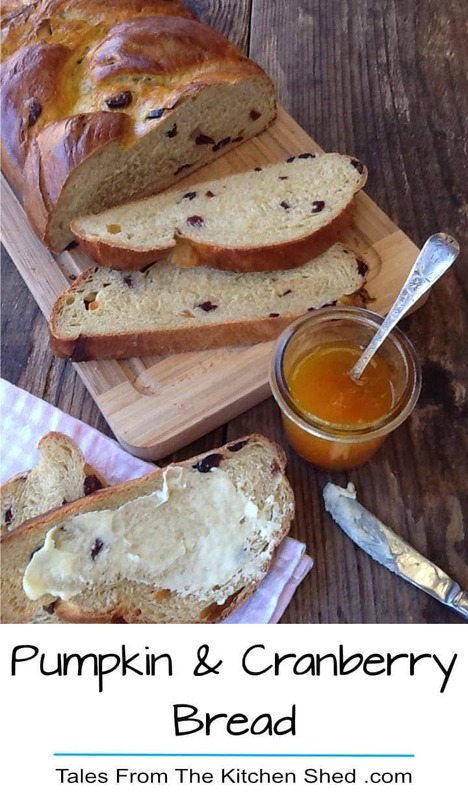 This recipe is making my bread baking loving heart go pitter patter! 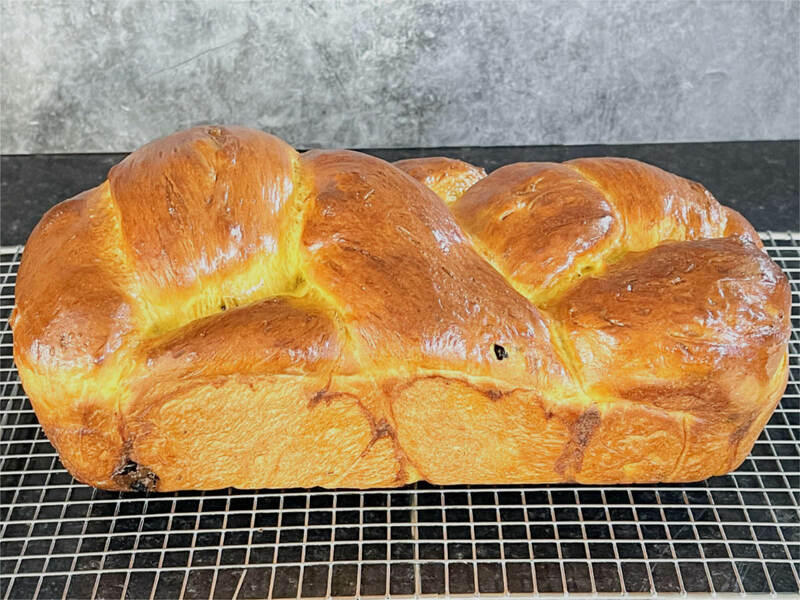 Your bread is just gorgeous, and it’s apparent that you enjoy bread baking too! 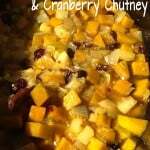 I never thought to combine pumpkin and cranberries – yum! What a gorgeous loaf! 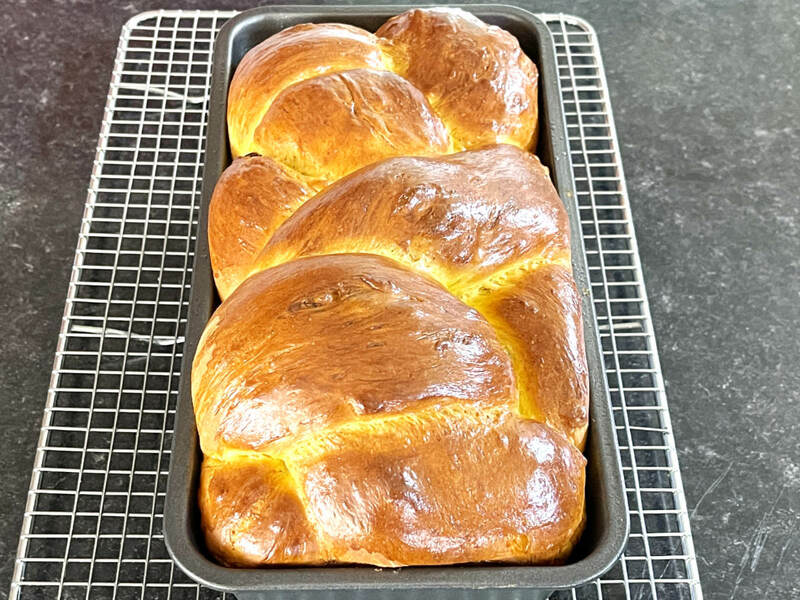 I’ve never tried a platted loaf before, you really make it look so pretty and easy. Thanks for linking up with us for Fabulous Foodie Fridays, have a great weekend! Found you through the #FoodPornThursdays link up. This looks like heaven! I bet it smells amazing. This is great for fall can’t wait to try this! This bread looks wonderful Sarah. Thank you for sharing the recipe. I love the plait effect, it really makes it look very special. I’m quite keen to see your pumpkin pie jam recipe too. I could definitely sit down now with a cup of tea and a slice of this. Heaven I’m sure! Thanks for linking up at #LifeLovingLinkie I hope to see you again soon! Hey Sarah! this looks so divine and just want to take a bite right out from the picture.. lovely. 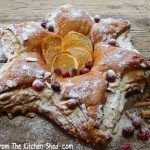 Thanks for stopping by Famidha, glad you like my Pumpkin & Cranberry Bread.